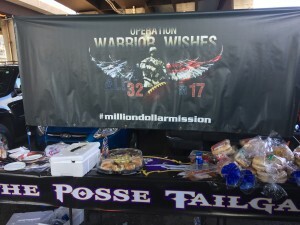 Game 41 – “The Posse” Makes Warrior Wishes Come True Again! After a relaxing week at home with the grandkids, my dad made his back to Baltimore for the 4th time this season! 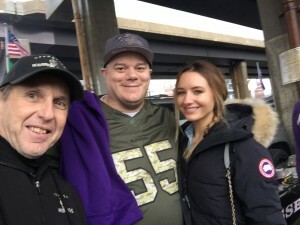 3 Ravens games & the Army Navy game last weekend. Today’s game has both a “Good News” and a “Bad News” story to it , BUT also has a very special meaning. Let’s get the bad news out of the way first. By doing this game, we were not able to personally host or meet the warriors at our VACO Night in Nashville. So our ambassador Keith Blazic and warrior wishes Director Mark Toppel stepped in to host a big group of warriors in a “suite” way at the Predators game last night in Nashville thanks to our friends at VACO Nashville. 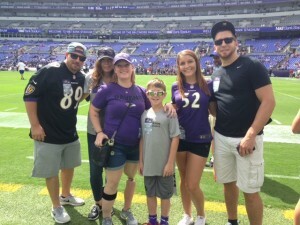 The good news is that we are proud to host guests Paul Norden and his fiancé Jacqui Webb at today’s Ravens game. 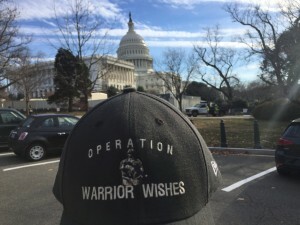 Paul & Jacqui are two of the Boston Bombing Survivors who were mentored by a few of our previous Wounded veteran guests, including Gabe Martinez in Colorado and BJ Ganem in Wisconsin. In fact BJ was the one who nominated them for this experience. 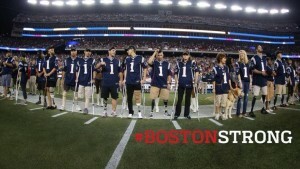 You may remember that we hosted and honored many of the Boston Bombing survivors along with a big group of wounded warriors at Opening Night of 2013 NFL Season at Gillette Stadium in Foxboro with Robert Kraft and the Patriots. When we were planning that game, our first call was to the Norden family contact, Melanie at a local restaurant who was raising money for them. Unfortunately they could not make that event due to medical issues, nor could Erika Brannock. 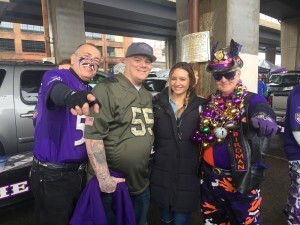 Paul and Erika are Ravens fans, while most of the others were Patriots fans . 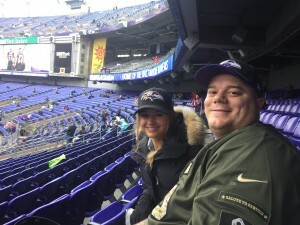 We were honored to host Erika at a Ravens game earlier this season & now had a special opportunity to finally host Paul and his fiancé at a Ravens game to thank them for never giving up & being inspirations to so many. 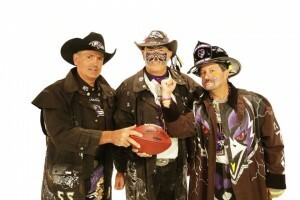 Of course we started their Experience where we start all of our Ravens events, with “the Posse” at Brian, Rick and Chip’s Tailgate. Last week we hosted 50 guests with Brian, Rick & Chip at the Army Navy game! Brian, Rick & Chip have been making Wishes come true since 2013! As always, they made Paul and Jacqui feel right at home. Great food and fun was had by all. After the tailgate everyone headed into the stadium to watch the Ravens kickoff against the Eagles. The Ravens & Eagles took turns taking the lead going back one forth. Eventually the Ravens jumped out to 27-17 lead in 3rd quarter. Early in the 4th quarter, the Ravens were knocking on the door of another score when Joe Flacco was picked off inside the Red Zone keeping the Eagles in the game. The turnover led to an eagles field goal. they drove down the field and got a Field Goal off that turnover. The Eagles had one last chance to score as time ran down late in the 4th. With 3 seconds on the clock, Carson Wentz ran the ball in to the end zone to score the what looked a game tying touchdown. However, the Eagles decided to go for 2 instead of taking the game in to overtime. 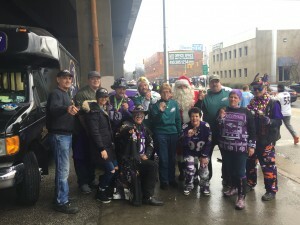 Their gamble failed, when Wentz Pass was broken up in the end zone and the Ravens survived with 27-26 victory, which actually keeps them alive for a slim chance for a playoff spot. It was a very entertaining game and an incredible experience! 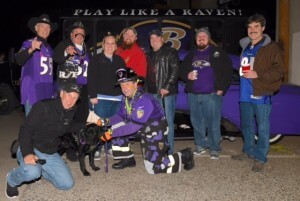 Operation Warrior Wishes would like to thank our Ravens Tailgate Hosts Rick, Brian and Chip AGAIN! 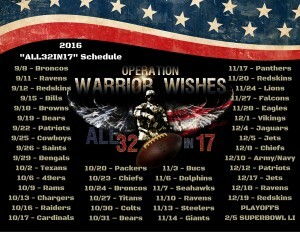 They continue to go above and beyond to make warrior wishes come true every time we host warriors in Baltimore. 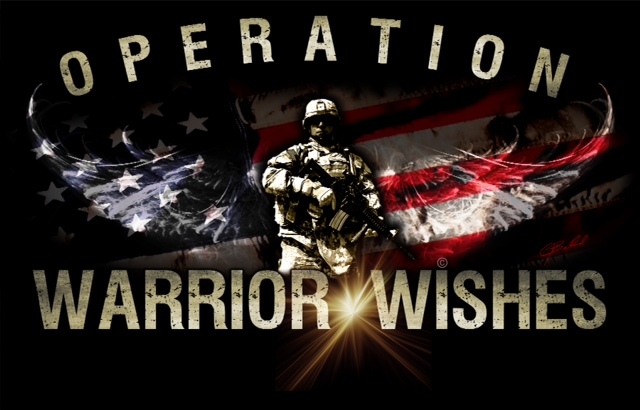 We cannot thank them all enough for their continued support! 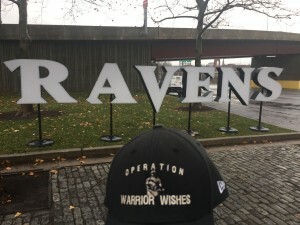 We’d also like to thank New Era Cap For providing Ravens caps & our friend BJ Ganem for his Nomination of Paul and Jacqui. He – and others that know them – told us that Paul and Jacqui were great people. 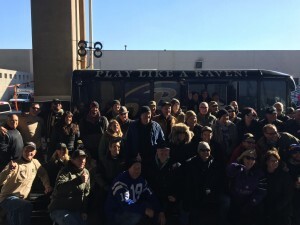 We learned that first hand and it was a real pleasure to meet and host them at the Ravens game. 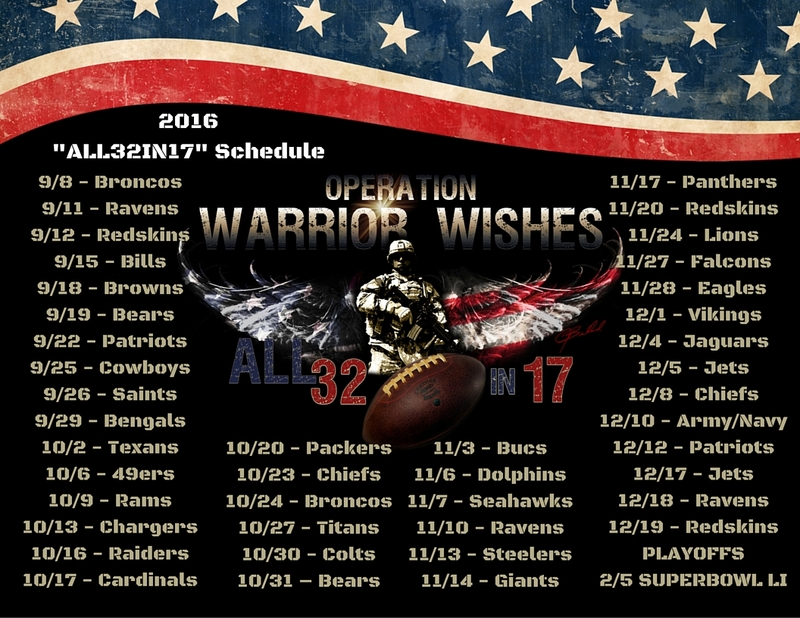 My dad will be back on the bus tonight heading to Washington DC to make Warrior Wishes come true at tomorrow’s Redskins game, the last game of our scheduled mission. Stay tuned for more details. 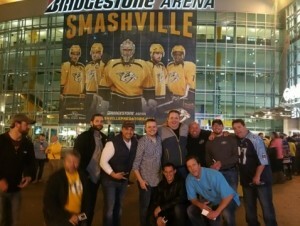 Vaco Makes Warrior Wishes Come True At The Predators Game!